What does Bill George's Olathe Kia offer drivers from Olathe, Lenexa, Overland Park, Shawnee and Kansas City? Truly exceptional customer service from every angle! Locally owned and operated is not just a saying for Bill George's Olathe Kia; it is a history of who we are and what we honor. Bill George has owned and managed several Kansas City businesses and car dealerships over the last 60 years. Kansas City is where he was raised and where he lives and works every day. You can stop by the Kia dealership near Kansas City and in most cases find him sitting in his office working deals and interacting with customers. When we sell a car, our goal is to form a long-term relationship with our customers. The employees and the customers are treated like family. Some members of the staff have been with him for over ten years, which in dealership employment is a lifetime. Some of our customers are on their 4 vehicle purchase; not including all the friends and relatives they have referred to Bill George's Olathe Kia. Customer focus is what we are proud to offer. Here at Bill George's Olathe Kia, everything we do revolves around you. Our various teams are trained to address your needs from the moment you walk through the door, whether you’re in the market for your next vehicle or tuning up your current one. Starting with our selection of new 2018-2019 Kia models, our Olathe showroom is the place to be if you’re in the market for a Kia Optima, Soul, Forte, Sorento or Sportage. Looking to save some money in the search for your next car? 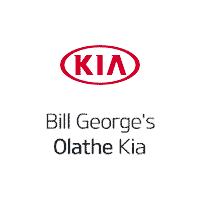 Bill George's Olathe Kia also carries a wide range of used cars in Olathe from Kia, as well as today’s other top automakers. Once you’ve chosen your next car,Bill George's Olathe Kia helps you take those all-important next steps towards driving home the Kia of your dreams. Our team of financing experts are trained to sort through various details about finding a car loan in Olathe or Kia lease near Kansas City that is right for your needs. Even after you’ve driven your new Kia Optima, Soul, Forte, Sorento or Sportage out of our showroom, Bill George's Olathe Kia continues to support you in order to ensure you have a great ownership experience. Our Kia service department offers everything from routine maintenance to auto repair in Olathe, when they’re needed. And for those of you who prefer to tinker under the hood yourselves, we keep a healthy stock of auto parts for your endeavors as well. As you can see, Bill George's Olathe Kia is equipped to handle all of your automotive needs, though we also keep in mind that everybody brings something different to the table. That’s why we encourage you contact us today to see what we can do for you today by visiting us at 130 N. Fir in Olathe, KS.